The Hot Springs Boat, Tackle and RV Show is the largest in Arkansas and will feature hundreds of the latest Boats to view and board including bass boats, pontoon boats, deck boats, ski boats, wakeboard boats and personal watercraft plus the latest in Recreational Vehicles. The show also includes many exhibitors offering the newest in marine accessories, fishing tackle, RV accessories, Boating equipment, docks and more. Featuring an impressive selection of the new boat models and manufacturers for sale all in one place for easy comparison shopping. The show offers resources for onsite financing, electronics, fishing gear, towers, motors, trailers, personal watercraft, kayaks, canoes fishing guides and tackle. In addition to hundreds of boat models and brands on display, attendees can enjoy a variety of special events that take place at the Biloxi Boat Show. The Birmingham RV Super Show is in its 11th year with BK Productions. Come see over 100,000 square feet of pull behinds, fifth wheelers, toy haulers, class A and class C motor home plus more! For over 30 years we have been showcasing the best products the RV industry has to offer, the best selection of models, the best selection of manufacturers and the best selection of the best dealers all in one place. The show gives the RVer the best opportunity to an informed decision about the right RV for their use and their budget. 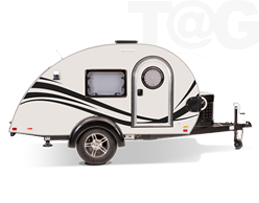 Over 200 RVs will be on display, free interactive workshops, and prize giveaways during this year's East Coast RV Expo. You will find everything from luxurious 5th wheels to truck-mounted tents... there is something for everyone! Canoecopia is the largest paddlesports consumer event in the world. More than 250,000 square feet of kayaks, canoes, stand up paddle-boards, outdoor equipment and clothing, all at the best prices of the season, make Canoecopia a "must go" place for gear! Located at the popular and unrivaled Wharf Entertainment Complex in Orange Beach, Alabama, The Wharf Boat and Yacht Show will showcase the latest offerings from boat and yacht manufacturers and well known dealers throughout the Southeast. 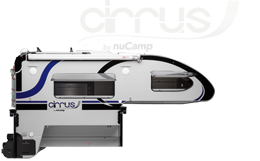 The Acadiana RV, Sport & Boat showcases products like travel trailers, boats, kayaks, motor homes, motors, and boats associated with this field etc. in the Automotive, Sporting Goods, Toys & Games, Travel & Tourism, Marine & Boat industries. 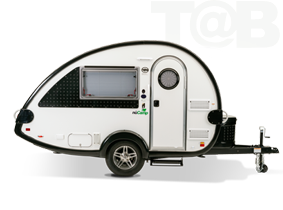 Young’s RV Center, 1450 Dickinson St.
Stop by and check out the nuCamp products.